I am seeing more and more service dogs for both autistic children and adults being used. They can be trained to keep children from wandering, to calm many autistic children who are over stimulated, and to help with speech and other communication skills. 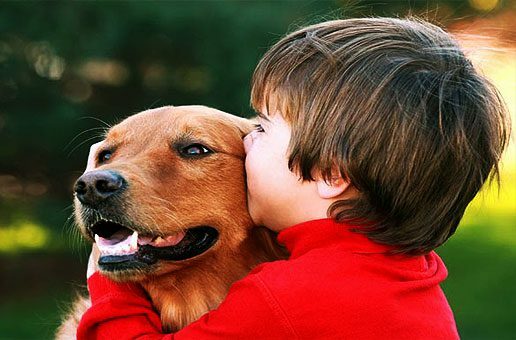 Autistic service dogs can be very costly since they are trained for each individual’s special needs. The price can reach up to $22,000 for training only! Unfortunately, there are many dogs on a waiting list, and it can take months or even a year to be approved with a majority of places needing a deposit of $13,000. There are many different types and breeds of dogs being used as service providers. One that really caught my attention is Gremlin, a pit bull. She is a former bait dog. Both her back legs had been broken and her vocal chords ruptured by what a vet said were caused by a baseball bat. This would be done to bait dogs to keep them from making noise. Gremlin has passed all therapy dog tests and has become a certified therapy dog through Therapy Dog Inc. Gremlin has come to visit the children at the STARS program. She is also used to help calm cancer patients during chemotherapy at Rainbows Babies and Children Hospital, and visits 13 other schools in NE Ohio. Gremlin is only one of many pit bulls used as therapy dogs. Stig, who is also a pit bull and was to be destroyed at the Cleveland Animal Shelter six months ago, is now a registered therapy dog. The man who is responsible for the remarkable rehabilitation and training of these dogs is Mr. Chris Hughes. If you would like more information on these amazing dogs you can visit Gremlin’s page on Facebook. 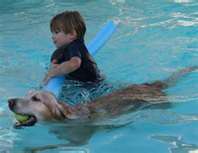 Dogs are also being rescued from shelters and trained by prison inmates to be used as service dogs for adults and children with autism. Not only are children being provided a dog, but a dog is also being rescued and now may save a life. After the dogs graduate, they are placed with an advanced trainer who teaches the family how to care for the dog. There is a particular nonprofit organization in Kentucky who does just that, Blessings Unleashed Foundation. I have had the honor of speaking with Dana Emitt-Hall who runs this great organization and who is also the mother of an autistic child. These dogs are provided free to those who qualify. All these service dogs come in different shapes and sizes from German Shepherds and Siberian Huskies, to various other smaller breeds of rescued dogs. Not only are dogs being used as therapy animals, horses are being used as well. Next week I will introduce a local resident who not only trains dogs, but she and her canines also visit the students at the STARS program.